Crosstell Reports are used throughout Department of Defense (DoD) and North Atlantic Treaty Organization (NATO) bases to share information between installations at the same operational level. Yellow Ribbon Ministries provides information and ministers to the needs of our military and veterans’ community. 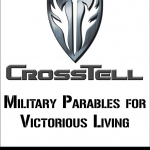 Each … [Read more...] about CrossTell: Military Parables for Victorious Living Now Shipping! Evidence of His Grace glorifies God’s limitless love and provision. Sharon Woodard and her family have endured many Job-like trials in their lives. 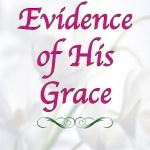 Whether it was the destruction of a home to fire, polio, cancer, industrial accidents, flood, poverty, hunger, or you name it, God always met their needs, oftentimes … [Read more...] about Evidence of His Grace Now Shipping!! !